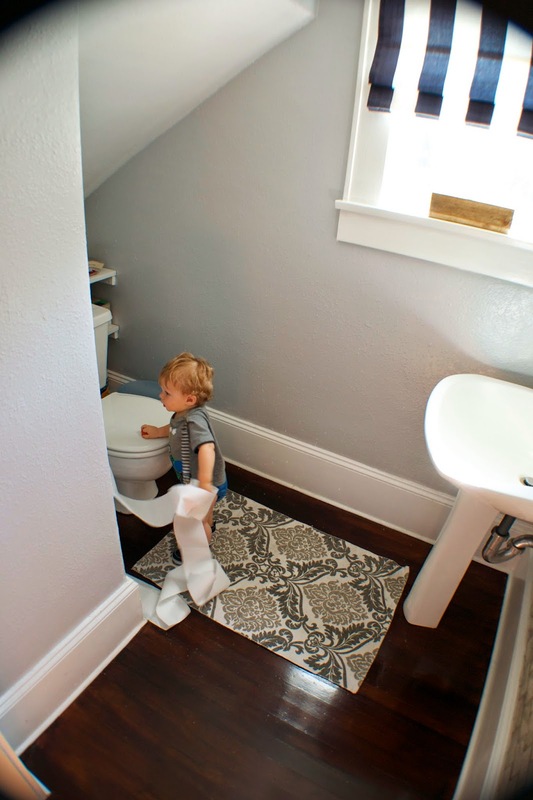 CK and Nate header: Quickly Toddler Proof the Toilet Paper! Keeping the door closed was our solutions for awhile but even with that Will still managed to sneak in a couple of times and completely unroll a (usually new) roll of toilet paper. After a couple times I was fairly annoyed and in an attempt to curb his enthusiasm, I threw a hair tie around the roll. 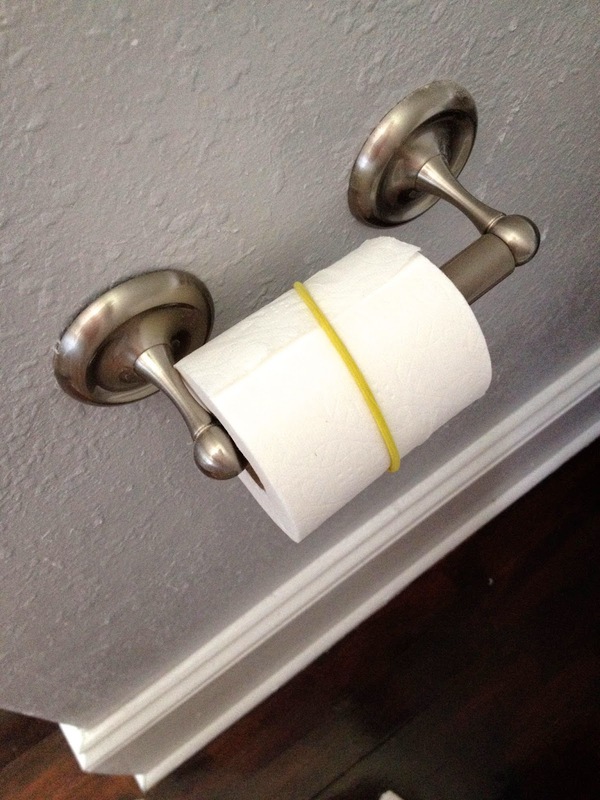 I actually had very little hope of this working but so far, not one more unrolled roll of toilet paper (although he still with pick at the corners). This works so well especially because it is easy to pop on and off and at night it can just hang to the side. There you have it... the cheapest, quickest and most favorite baby proofing we've done! If you want to see more of the bathroom, you should head over to Remodelaholic where they are featuring our entire bathroom makeover!